Andy Long has more than 20 years experience assessing groundwater flow and transport through numerical modeling, analyzing ambient tracers, and geophysical methods. 2015-present: Hydrologist and Groundwater Specialist, USGS Washington Water Science Center. In addition to continuing my research activities, I advise the Science Center on technical issues, including interpretive studies, data collection, and archival. 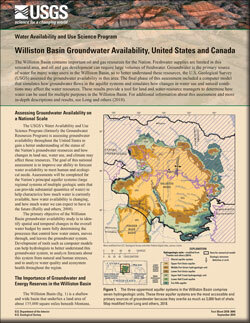 I assist the Center in building and guiding the overall groundwater studies and data program. 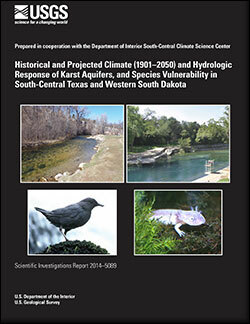 2014-2017: National Research Council committee to evaluate the implementation of the Edwards Aquifer Habitat Conservation Plan (http://www.eahcp.org/). 2009-2015: Research Hydrologist, USGS South Dakota Water Science Center. Primary activities included the development of innovative methods to better understand, quantify, and test hypotheses related to groundwater flow and transport in karst aquifers. Groundwater age dating, lumped-parameter models, aquifer classification, hydrochemical evaluation, heat transport, and groundwater recharge were some areas of my research. 2005-present: Adjunct Assistant Professor, South Dakota School of Mines and Technology. I served on the graduate advisory committees for five M.S. students and three Ph.D. students. Seven of these students were employed by the USGS and did their research primarily under my direction as part of their USGS work. I gave numerous guest lectures at SDSMT. 1999-2009: Hydrologist, U.S. Geological Survey (USGS), South Dakota Water Science Center. I Conducted numerical modeling of groundwater flow and solute transport, dye tracing experiments in karst aquifers, development of new research models. Full list of publications is at ORCID. The Yakima River flows 215 miles from the outlet of Keechelus Lake in the central Washington Cascades southeasterly to the Columbia River, draining an area of 6,155 square miles. The Yakima River Basin is one of the most intensively irrigated areas in the United States. Population in the Yakima River Basin was about 238,000 in 1990. 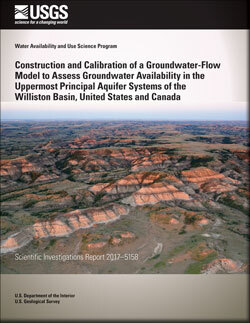 Thamke, Joanna N.; Long, Andrew J.; Davis, Kyle W.
Thamke, J.N., Long, A.J., and Davis, K.W., 2018, Williston Basin groundwater availability, United States and Canada: U.S. Geological Survey Fact Sheet 2018-3046, 4 p., https://doi.org/10.3133/fs20183046. 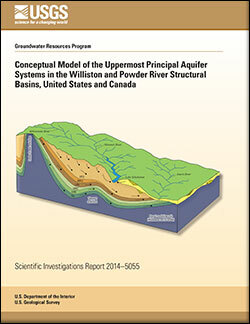 Long, Andrew J.; Thamke, Joanna N.; Davis, Kyle W.; Bartos, Timothy T.
Davis, Kyle W.; Long, Andrew J.
Davis, K.W., and Long, A.J., 2018, Construction and calibration of a groundwater-flow model to assess groundwater availability in the uppermost principal aquifer systems of the Williston Basin, United States and Canada: U.S. Geological Survey Scientific Investigations Report 2017–5158, 70 p., https://doi.org/10.3133/sir20175158. Paces, James B.; Long, Andrew J.; Koth, Karl R.
Stamm, John F.; Poteet, Mary F.; Symstad, Amy J.; Musgrove, MaryLynn; Long, Andrew J.; Mahler, Barbara J.; Norton, Parker A.
Stamm, J.F., Poteet, M.F., Symstad, A.J., Musgrove, MaryLynn, Long, A.J., Mahler, B.J., and Norton, P.A., 2015, Historical and projected climate (1901–2050) and hydrologic response of karst aquifers, and species vulnerability in south-central Texas and western South Dakota: U.S. Geological Survey Scientific Investigations Report 2014–5089, 59 p., plus supplements, http://dx.doi.org/10.3133/sir20145089. Long, Andrew J.; Aurand, Katherine R.; Bednar, Jennifer M.; Davis, Kyle W.; McKaskey, Jonathan D.R.G. 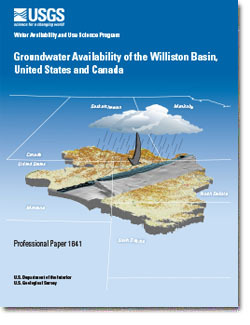 ; Thamke, Joanna N.
Conceptual model of the uppermost principal aquifer systems in the Williston and Powder River structural basins, United States and Canada; 2014; SIR; 2014-5055; Long, Andrew J.; Aurand, Katherine R.; Bednar, Jennifer M.; Davis, Kyle W.; Mckaskey, Jonathan D. R. G.; Thamke, Joanna N.
Thamke, Joanna N.; LeCain, Gary D.; Ryter, Derek W.; Sando, Roy; Long, Andrew J.
Hydrogeologic framework of the uppermost principal aquifer systems in the Williston and Powder River structural basins, United States and Canada; 2014; SIR; 2014-5047; Thamke, Joanna N.; LeCain, Gary D.; Ryter, Derek W.; Sando, Roy; Long, Andrew J.
Haines, Seth S.; Cook, Troy; Thamke, Joanna N.; Davis, Kyle W.; Long, Andrew J.; Healy, Richard W.; Hawkins, Sarah J.; Engle, Mark A. 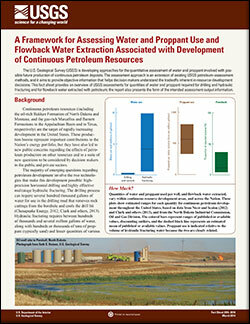 A framework for assessing water and proppant use and flowback water extraction associated with development of continuous petroleum resources; 2014; FS; 2014-3010; Haines, Seth S.; Cook, Troy; Thamke, Joanna N.; Davis, Kyle W.; Long, Andrew J.; Healy, Richard W.; Hawkins, Sarah J.; Engle, Mark A.
Symstad, Amy J.; Long, Andrew J.; Stamm, John; King, David A.; Bachelet, Dominque M.; Norton, Parker A.
Symstad, A. J., A. J. Long, J. F. Stamm, D. A. King, D. M. Bachelet, and P. A. Norton. 2014. Two approaches for incorporating climate change into natural resource management planning at Wind Cave National Park. Natural Resource Technical Report. NPS/WICA/NRTR—2014/918. National Park Service. Fort Collins, Colorado. Published Report-2216689. Saller, Stephen P.; Ronayne, Michael J.; Long, Andrew J. Comparison of a karst groundwater model with and without discrete conduit flow; 2013; Article; Journal; Hydrogeology Journal; Saller, Stephen P.; Ronayne, Michael J.; Long, Andrew J. Long, Andrew J.; Mahler, Barbara J. 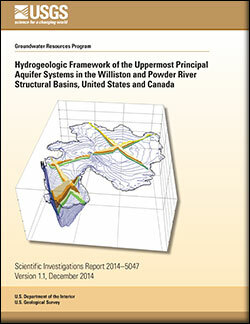 Prediction, time variance, and classification of hydraulic response to recharge in two karst aquifers; 2013; Article; Journal; Hydrology and Earth System Sciences; Long, Andrew J.; Mahler, Barbara J.